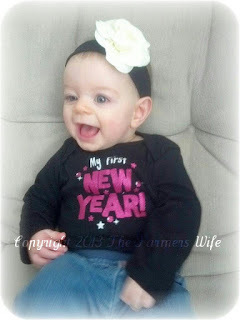 Happy 2013 y'all! Man it's crazy how fast this last year has just flown by for my family. I usually do a recap post around Christmas, but I'm going to summarize it for you and give you a new recipe! As you may remember in last years Year End post I announced the pregnancy of our sweet baby girl Little Miss Nikki! The overwhelming love and support my family felt from you all was just amazing, including all your prayers as my delivery approached and I started having complications. I can't tell you how thankful I am that I was able to ask for you prayers during that time, and we really felt it! Now we have our sweet baby girl, and our family is complete. We've enjoyed every moment of her little life, and are looking forward to the year to come. Speaking of Little Miss, she is doing fabulous! Growing and learning so fast! At 7 months her vocabulary is up to 3 words, "Mama", "Dada", and "Bubba" (for her big brother). She is rolling all over the house, sitting up on her own, feeding herself, and almost crawling... Since the Christmas Tree is still up I'm not rushing the crawling... lol! She is so full of life and this little girl loves with all her heart. I love watching her and "Bubba" play together! They just adore each other! I took a bit of a break this year with pregnancy difficulties and homeschooling starting up with our now 4 1/2 year old Son! AHH!!! I can't believe he's in preschool already, this Momma is feeling old tonight. We successfully finished potty training last year, and he is just thriving in his school work. He is spelling and starting to read some 3, 4 and even 5 letter words! Excelling at basic math, and is basically crazy smart! He astounded me just this morning with the question "What kind of word is the word 'so' Mom? Like is it a noun or verb?" Needless to say this Momma had to look that one up.. haha! He is completely in love with his baby sister and the feeling is quite mutual I must say. They have a wonderful relationship that I pray will only get stronger as they grow. My Farming Hubby has been so busy this year, keeping up on the farm as well as being there for me and the kids so much this year! I know it's not always easy being a farmer and when you add a new baby to the mix, well let's just say I feel incredibly blessed. 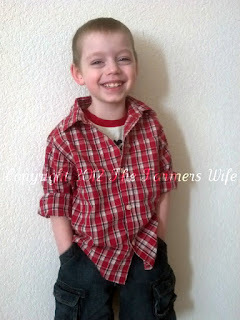 He's currently into the computer game Minecraft for any of you gamers, and as always his beloved Sci-Fi shows. lol! Our kids just positively adore him and the feeling is mutual. I'm so thankful for him! 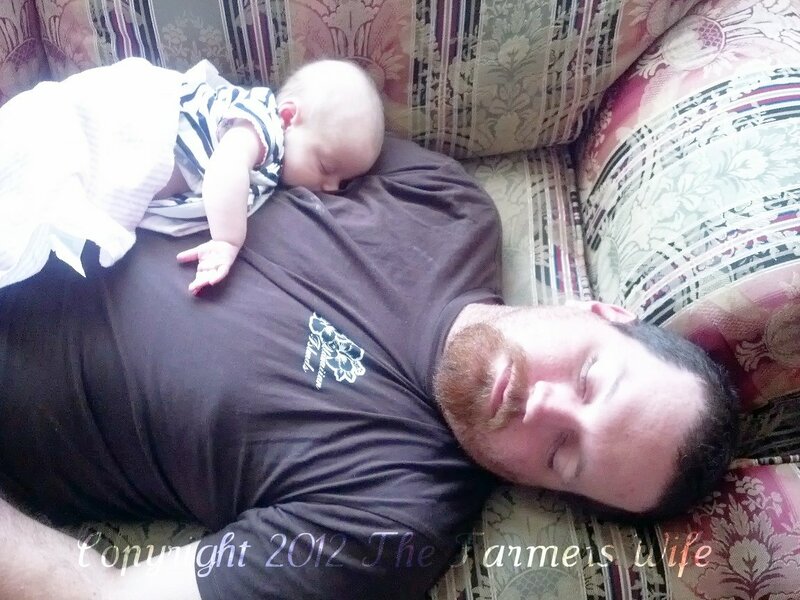 As for me, well my life consists of changing diapers, cleaning, feeding, cooking, teaching, and the occaisional nap. lol! The truth is my family is my life, so when you read about them you read about me. But I want to say that I'm beyond thankful for all of you, and you support this last year! Since I'm short on time basically all the time these days, cooking is something that needs to not take up all my day. And recently I had one of those days where I was downright exhausted, had defrosted chicken to make a different recipe only to fall sound asleep on the couch and forget that it needed to cook for over an hour. So instead I looked in my pantry and threw this together. And honestly I'm shocked to say even my picky 4 year old loved this! This was a crazy easy and cheap meal, one that I plan to make again! Preheat the oven to 375F degrees. In a lightly greased 9x13 pan, place you chicken breasts. In a bowl combine the remaining ingredients and pour evenly over chicken. Bake for 25-35 minutes or until chicken is cooked through and the sauce is warm and bubbly. Serve warm with some cooked rice or mashed potatoes. Honestly I'm surprised to say I'd give this a 4 star rating. For as crazy simple as it was the flavor was there! Enjoy! Thanks Ramona! I hope you have a wonderful year too! Aw, you have a beautiful family, Kim!!!! 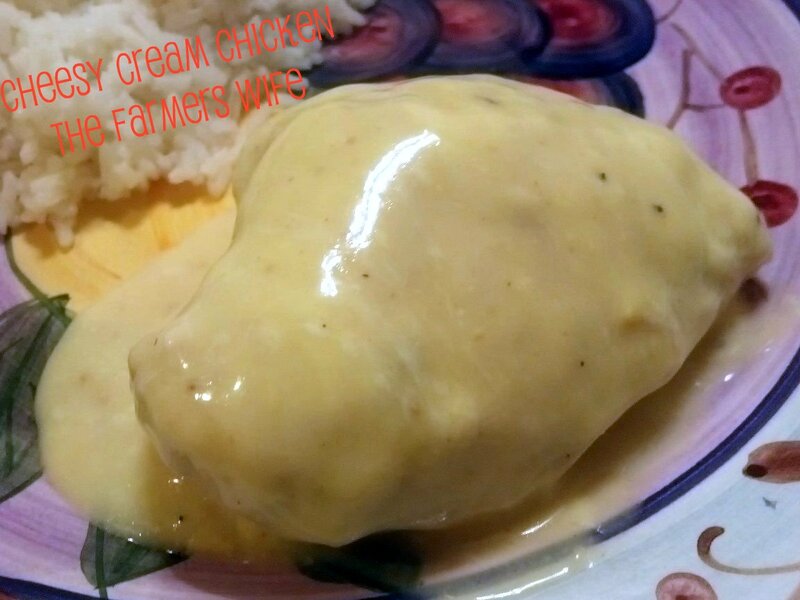 Thanks for sharing them with us :) And your chicken looks excellent for those busy days...creamy and delish!!! Nice to see pictures of your beautiful family. You are truly blessed and very busy. What a great cheese, creamy chicken dish. Happy New Year to you!!! I'm so happy you summarized, I've been so busy I've lost touch with a few of my favorite blogs. I know what you mean about the busy mom stuff! We are in different worlds though, and I've truly enjoyed you taking me back to the days when my guys were little. Enjoy every moment you have with them. I remember holding my son some 16 years ago and thought about high school being SO far off. I knew I would be "old" then... ha! He got his driver's license last week and drove himself to school. I miss him already. 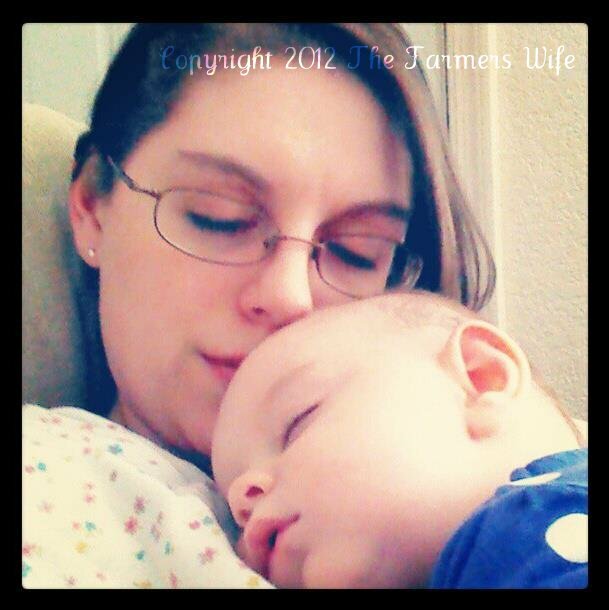 Hold those babies tight and enjoy the schoolwork together. Love the photos, you have a beautiful family.